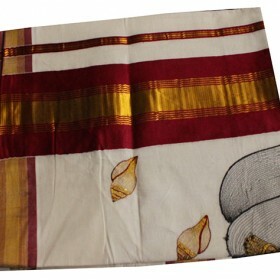 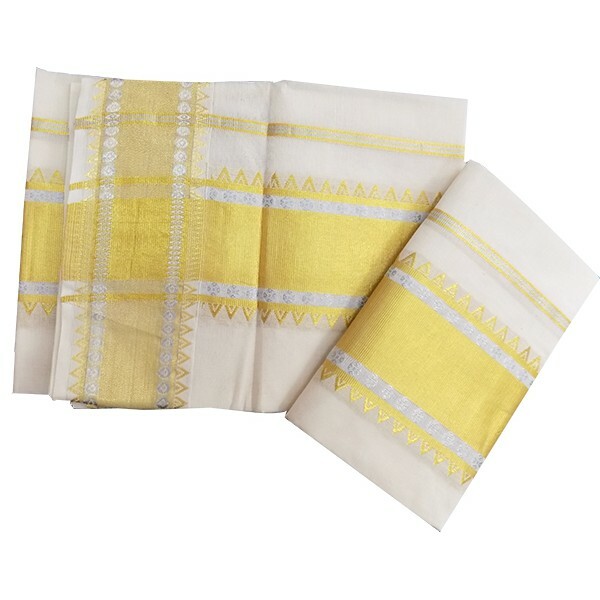 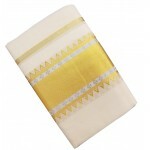 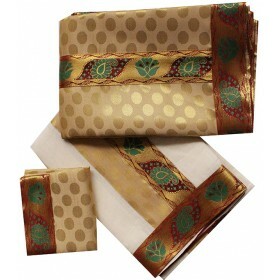 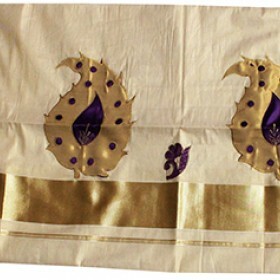 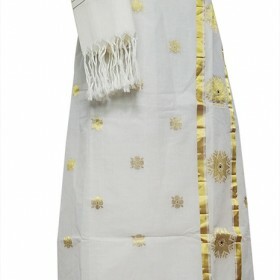 Kuthampully Set Mundu comes in White Cotton Material temple design and the main attraction is comes with golden and silver zari. 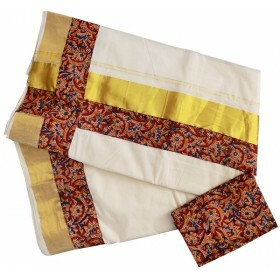 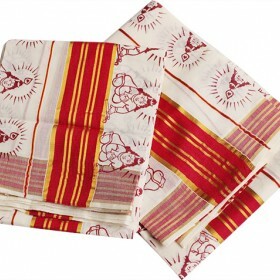 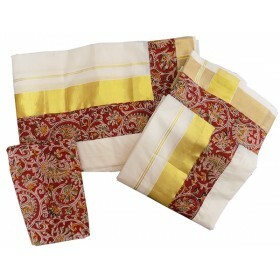 This Kerala Set Mundu is in Unique designed zari Woven. 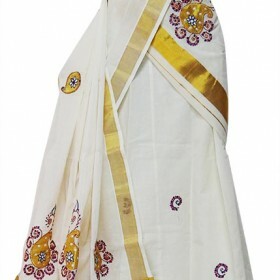 This deisgn gives a stunning blend of simplicity and elegance.